Windows 10 has just received its very first cumulative update after the July 29 launch, but Microsoft is reportedly working on an even larger release that could get the go-ahead sometime next week. 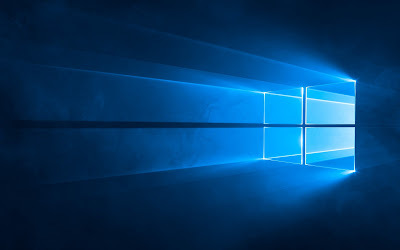 According to a new report by Richard Hay, the so-called Windows 10 Service Release 1 could be launched on August 10, but it’s not yet clear whether Microsoft wants to push this update to insiders first or make it available for everyone from the very beginning. Basically, the Service Release 1 is another big pack of improvements for Windows 10 and is specifically aimed at fixing bugs and implementing optimizations for the core operating system, being part of the Windows as a Service strategy that’s supposed to bring new updates at a faster pace. Microsoft is yet to publicly acknowledge Service Release 1, and today’s cumulative update “doesn’t have a name,” according to Gabe Aul, which means that they’re most likely separate updates, with the latter to see daylight sometime very soon. With Windows 10 now alive and kicking, it seems that Microsoft’s Windows as a Service concept really pays off, as updates arrive much faster than before, so users’ computers are continuously getting bug fixes and improvements. But the real big update for Windows 10 will only arrive in October, when Microsoft is expected to release a bunch of improvements including not only bug fixes and performance improvements but also new features. The most anticipated feature is extension support for Microsoft Edge, as the company has already announced this option for its browser, but other goodies for OneDrive and Skype are also expected. Microsoft is yet to confirm the October update, but some internal sources are referring to it as “Autumn Update,” so chances are that we’ll be getting this new release in the next couple of months if everything works as expected.